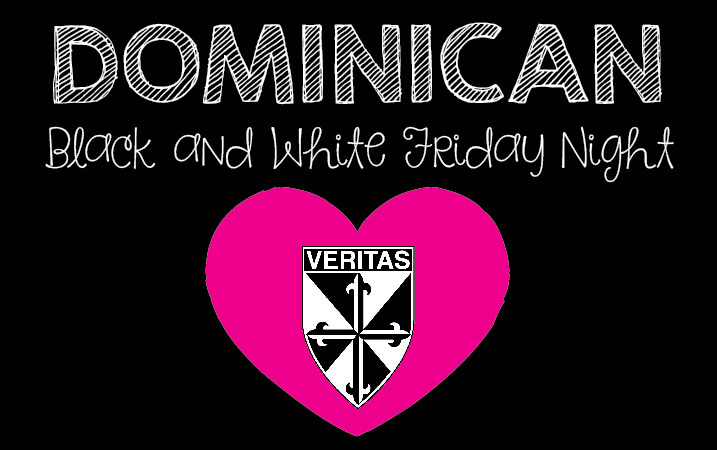 St. Mary’s Dominican High School is hosting Black and White Friday Night on Friday, March 22, 2019 from 6-9 p.m. IF YOU DID NOT REGISTER BUT WOULD LIKE TO ATTEND THE EVENT YOU MAY COME AS A WALK-IN REGISTRANT. Parents must accompany walk-in guests. Please see details below. Our students, faculty, and staff are preparing for your arrival and we hope to make Black and White Friday Night a night to remember. This very special night will feature games, sweets, a make-your-own tutu station, Dominican photo booth, and more! Get ready for some true Dominican FUN! Check-in will take place on Friday evening from 5:45 until 6:00 p.m. and our black and white festivities will begin promptly at 6:00 pm. This event will take place in the Dominican Siena Center, our state of the art athletic facility located behind our school building. Please enter our campus parking lot via the Burdette Street gate. Participants should report to the Siena Center for Check-in. Pick-up is at 9:00 p.m. 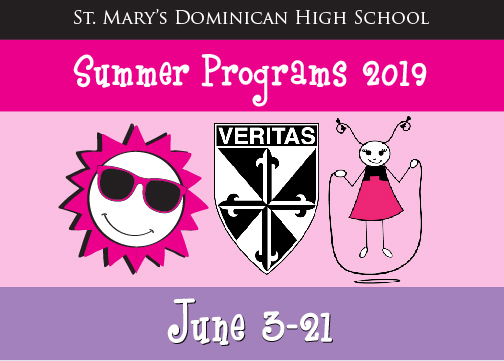 Adults may pick up in the Siena Center Gym or make arrangements to meet participants in the Siena Center Courtyard. Attire for this event is casual. Closed-toe shoes are required for your safety. Jeans or athletic pants/shorts are recommended. 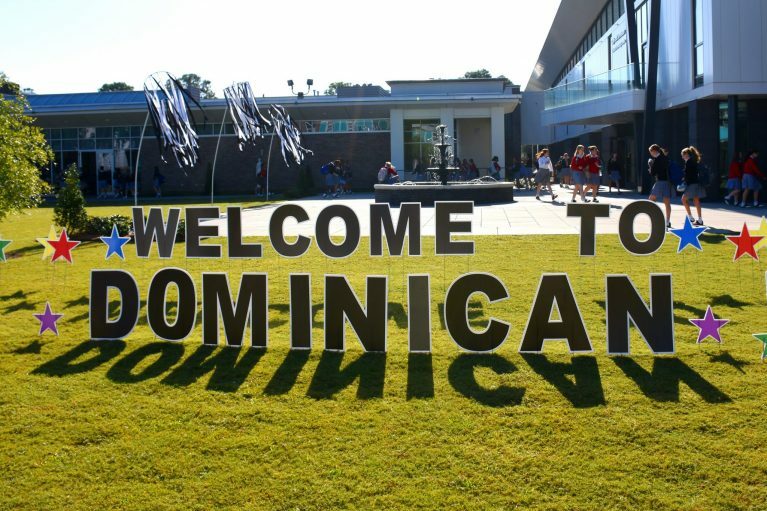 You will receive a Dominican t-shirt upon arrival. Feel free to wear additional black and white attire. Just be yourself, be comfortable, and come prepared to have a great time! Please feel free to contact me with any questions. Also, please let me know in advance if you have any special medical needs, food allergies, or need assistance with any medication during the event. Our Black and White Shop, located in Alumnae Hall, will be open tonight from 5:30 p.m. – 9:00 p.m.